The Park Hill neighborhood in Denver, CO is split into three micro-neighborhoods: South Park Hill, North Park Hill, and Northeast Park Hill. The whole of Park Hill is bordered by Colorado Blvd, E 52nd Ave, Quebec St, and Colfax Ave. The oldest parts of Park Hill are up to 110 years old. The neighborhood's historic mansions can be found on tree lined Montview Blvd and 17th Ave. 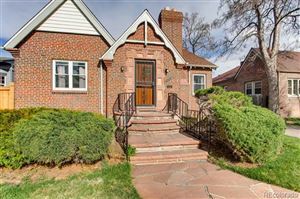 Typical home styles include two story brick tudors, bungalows, and a sprinkling of Spanish architecture that make this a picturesque Peter Pan style neighborhood of yore. In the summer you'll see kid's lemonade stands, commuter bicyclists, walkers and runners. The neighborhood has a Denver Public Library, many churches, small shops, and restaurants and is home to Park Hill Elementary and Smiley Middle School. Park Hill is adjacent to Denver City Park and the Museum of Nature & Science. The Denver Zoo is also within walking distance. Visit the Greater Park Hill Community page for more neighborhood resources and information. This is the neighborhood that Denver residents move to, but never leave. 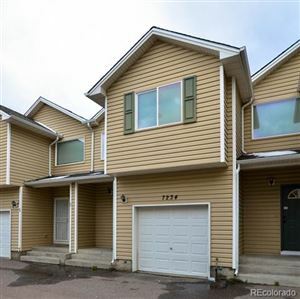 You'll find mini-celebrities and well known residents calling Park Hill home; Governor Hickenlooper, NFL player LenDale White, singer Dianne Reeves, and Nuggets player Chauncey Billups are among some of Park Hill's famous.